Wishing you all a Happy and Colourful New Year 2019!!! 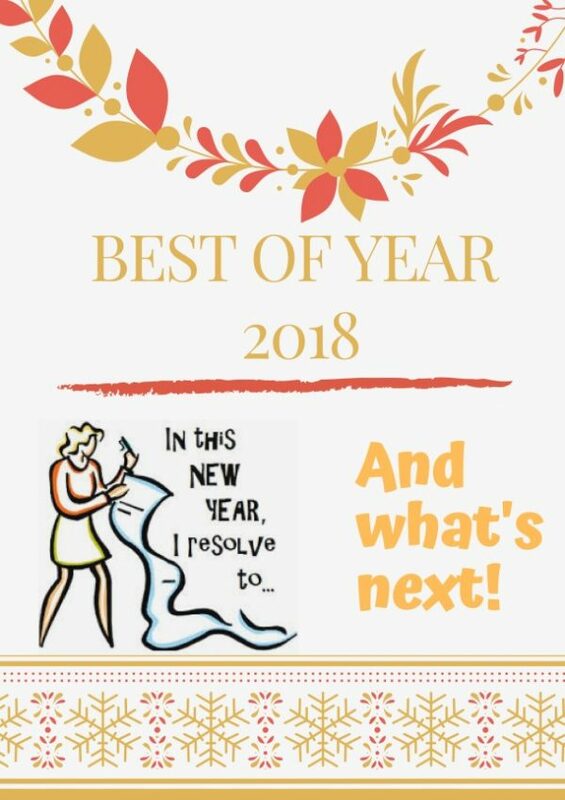 2018, what a year with loads of ups and downs,though i can still say that 2018 was a good and fruitful year. So many changes happened in my both professional and personal life. Professional life became a priority now, obviously blogging took a back seat. However i managed and planned everything as usual earlier not to give up anything regarding blogging. Sometime because of my hectic working days, i truly want to quit blogging but blogging is one of my passion and passtime to forget all my daily chores. 2018 went very much faster than i imagined, few of my dreams came true during this year. One of my favourite tourist destination was Greece and its happened this year during summer, yes had a fabulous summer vacation. One more dream is get a kitchen gadget which i have been longing for, finally H gifted me a Kitchenaid gadget to knead my bread doughs and whisk my cake batters with less efforts. Cant ask more na. As much as every year, i blogged three days per week, all credits goes to Blogging marathon and tried posting upto 15-18 posts for a month. Not to forget that i have blogged successfully two whole months of Mega marathon with two different themes during this year which was quite a challenge for me. Thank god, i finished both mega marathon brilliantly as i planned everything earlier to stick with theme i picked for. September 2017 - A to Z International Flatbreads with some traditional and unique flatbreads from around the world. 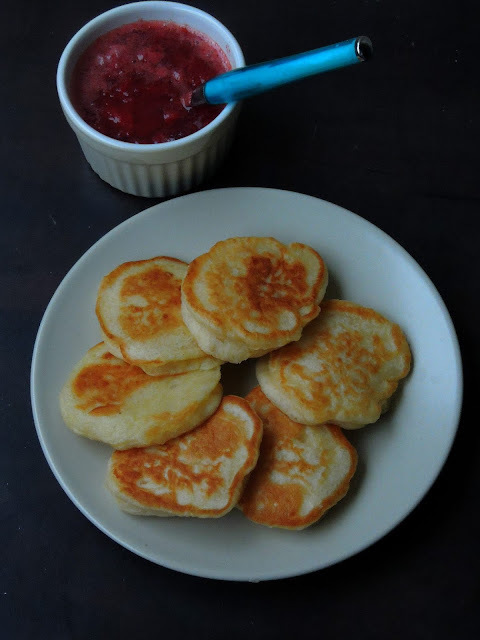 I kicked started 2018 with a Srilankan Sugar Buns aka Kimbula Banis and i have blogged 208 posts during this year and my blog counts 3723 posts now.While in my another blog Cook N Click i have posted 81 posts and its counts totally 621 posts. This year's cooking resolution is going to be More Millets & Less Refined Sugar. Sending this post to Srivalli's Best of Year 2018. You might already tried cornflakes cookies, but today's recipe is completely a different one.Cornflakes chocolate brownies is definitely a must to try if you have leftover cornflakes sitting sadly in your pantry to get finished. Yes i used leftover cornflakes for baking out some chocolate loaded brownies instead of trashing them. I grounded cornflakes as coarse powder and used them in a brownie batter to bake out some incredible brownie out of it. I hate trashing, obviously i will think twice to make use of anything which is leftover aside for many days before their expiry date. Even my H used to blame me that i dont trash anything easily than giving them a second life. You may wonder how can one bake a rich looking Christmas fruit cake without Maida, sugar and butter. Trust me, even i was skeptical before baking this incredible cake. Its quite an interesting Frutis and nuts loaded Christmas friendly cake to carry with you if you are visiting friends or family. I have prepared fruits and nuts soaked in jaggery syrup before 20 days for baking this Xmassy cake. 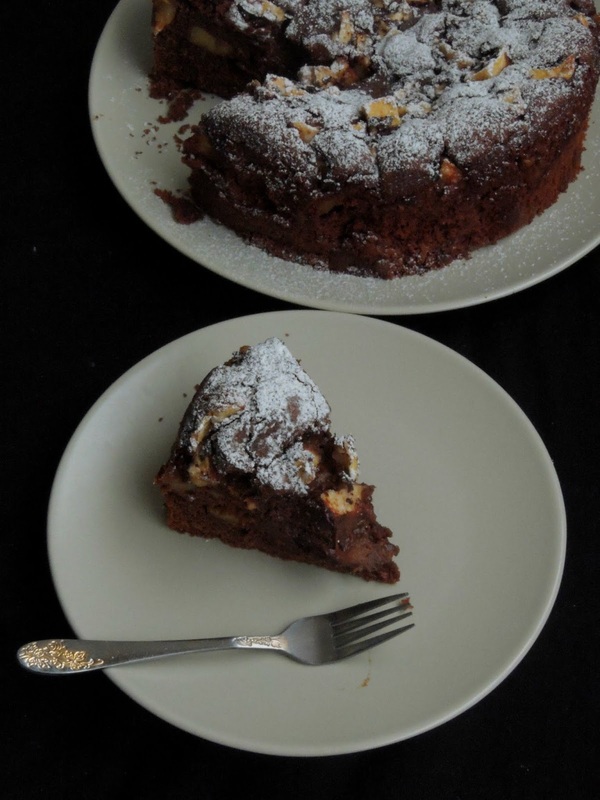 Yes you heard it rite, this cake is completely sweetened with jaggery. 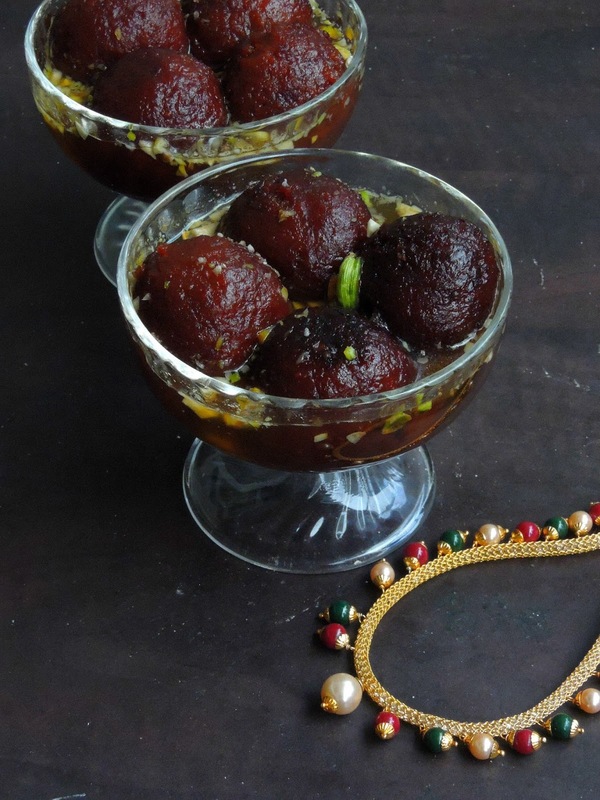 Varieties of dry fruits and nuts are soaked in a thick jaggery syrup is used to flavor up this fruits loaded rich looking cake. 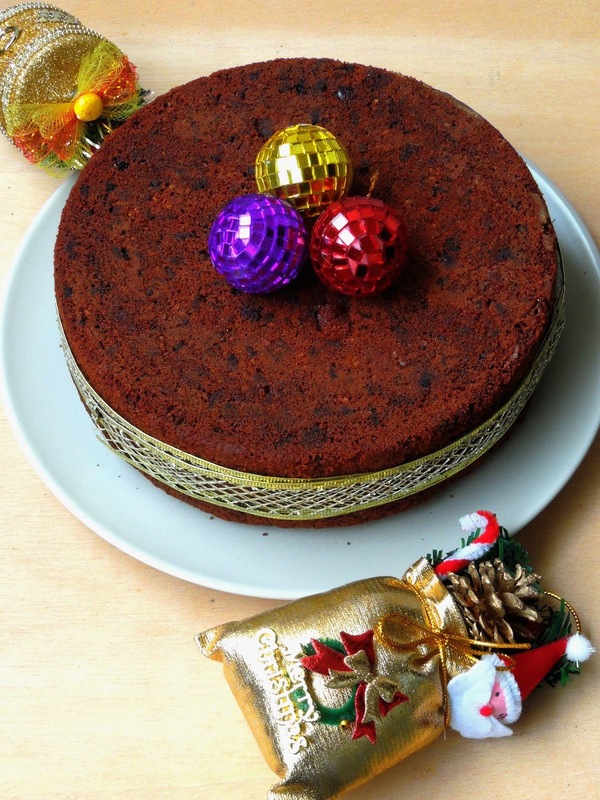 Actually my initial idea to make this rich fruit cake was with usual ingredients as much as every year. When i opened the fridge, i noticed that there was no butter, obviously i opted for Olive oil, then comes to idea to make this fruit cake without all purpose flour/maida. Finally i baked this cake with Spelt flour, jaggery syrup and olive oil. Christmas is not complete without wreath, either its edible or decoration you can find wreath everywhere during this festive season. Its been quite a yearly tradition for me to bake as wreath and am trying to keep this since three years. However we dont forget to decorate our entrance door with a wreath as well. Coming to this brioche wreath, its quite a dangerously addictve bread swirls which is definitely easy to shape and bake. Apart from preparing pastry cream and brioche dough, this wreath is quite an easiest bread to give a try without any hesitation. Usually we wait for an hour to dig these sort of breads once they comes out of the oven but my kids went completely crazy when they smelled the aroma of this bread. 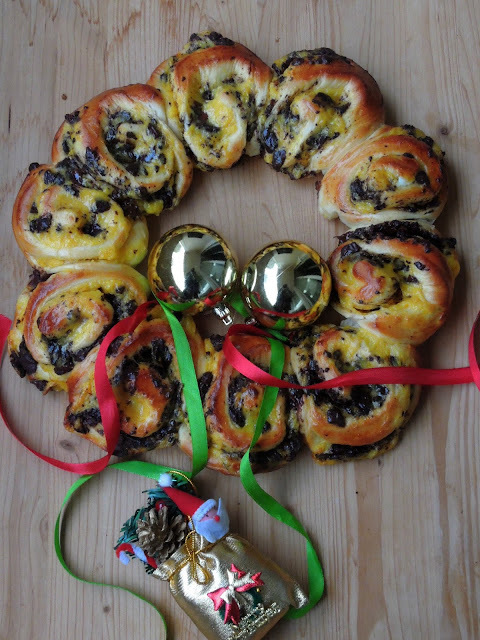 Best part of this wreath is just to pull a bread and enjoy it immediately. Dal Maharani which is also known popularly as Queens of Lentils gravy have its origins from Punjab. 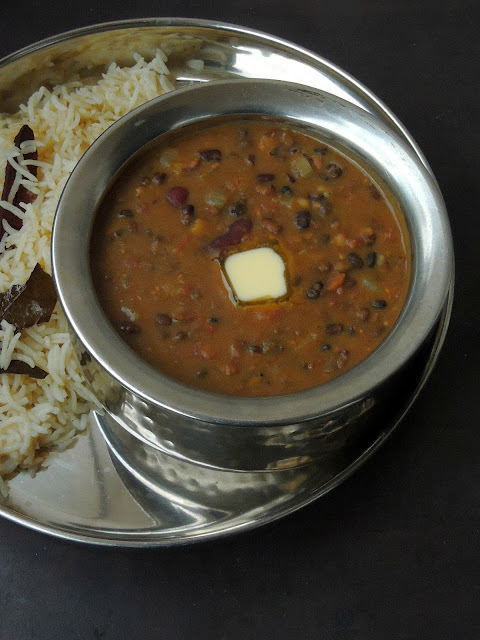 This dish is a nutritious and very protein rich gravy which calls for Black urad dal, channa dal and Kidney beans. These three dals are cooked and enriched with couple of spice powders and fresh cream hence this dal have a very rich taste.However if you are looking for less rich and no cream gravy, you can replace the cream used in this dish with milk, yogurt of else with no dairy products. 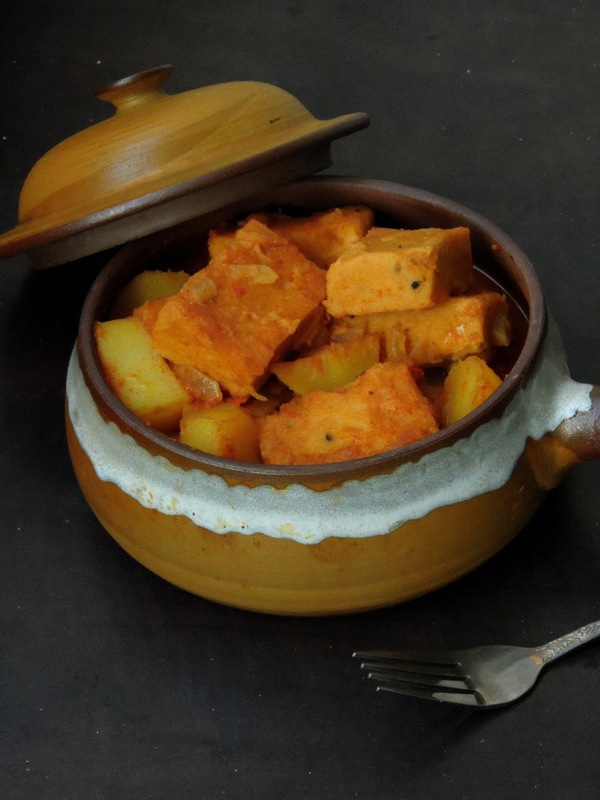 This aromatic dish can be served very much with any sort of pulaos, rotis or else simply with bread slices. Yes you have numerous choice to enjoy this rich gravy. However i served this gravy with coconut pulao which turned out our lunch more healthy and tasty as well. Obviously we had a tummy full meal and everyone at home enjoyed this nutritious dish. 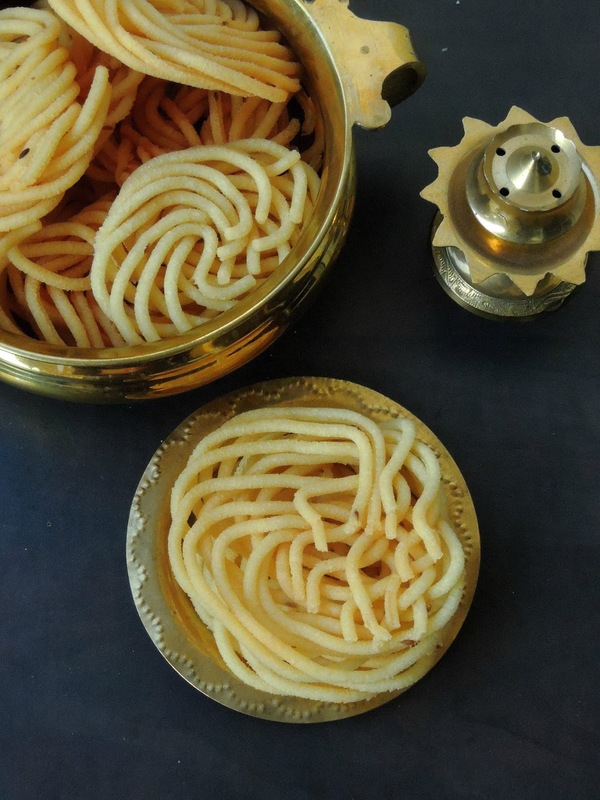 South Indians makes ultimate gravies with different variations with different ingredients. Coming to my today's post, this Masala vada kurma is one of my favourite dish which makes me nostalgic. Masala vada is quite a crispy channadal fritters which is prepared with a soaked channadal grounded with a combination of spices which is later fried in oil. 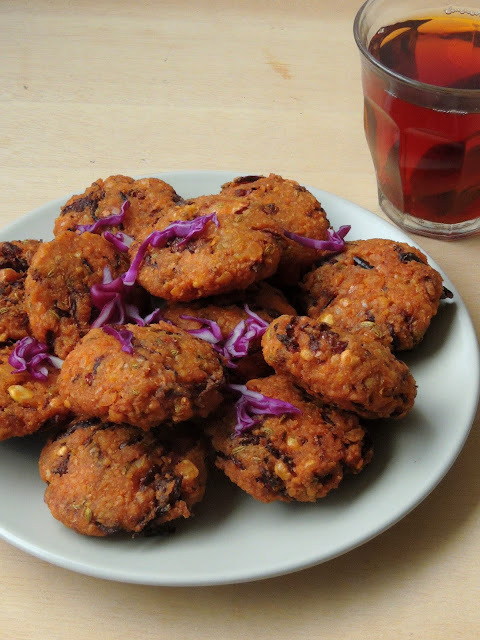 And this fritters are often prepared at home for any occasions or for festivals. However leftover vadas are dropped the next day in a masala gravy to serve along with rice for a lunch or with dosas or idlies for a dinner. But my today's post is completely a different one which is prepared with prawns. 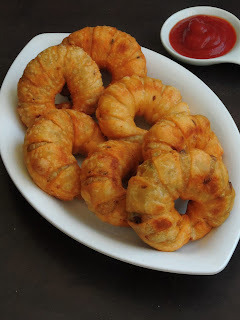 We Pondicherrians makes vadas with seafoods especially with prawns, its quite our speciality. Obviously i prepared this prawn vada kurma for our lunch few months back for our sunday lunch. My kids love prawn vada hence i prepared this gravy with them. Though i cant imagine making kuzhambu aka tamarind based gravy without onions and garlic cloves, i love to make atleast once a while to dish out some fingerlicking gravies without onions and garlic cloves. If you are fasting or dont have onions or garlic at home, you can still make this fingerlicking gravy in an ease with easy cooking process. This gravy is one of a delicious, easy breezy and flavourful dish to make without any fail. 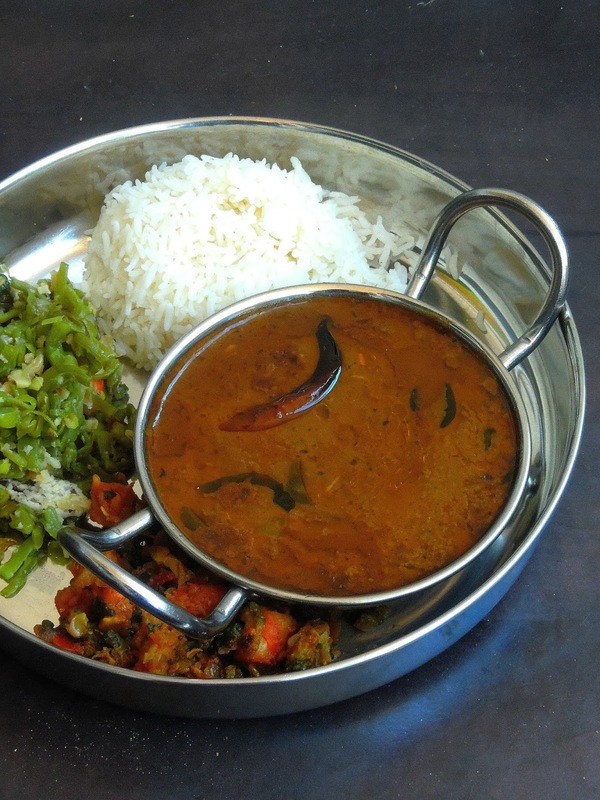 Since i want to make a flavourful and aromatic gravy for our lunch few days back, i couldnt think more than dishing out this fingerlicking dish with curry leaves. Curry leaves is a must in South Indian cooking, its one of the flavourful leaves which gives a subtle flavor to anything they are cook with. Christmas eve kick starts tonite, obviously i want to share some Xmas friendly baked goodies for this week's Bake-a-Thon event am running for this whole month. Though am bit late in posting some delightful Xmas bakes, its better late than never na. Am kicking starting this week with an ultimate brioche bread shaped as Santa claus, yea you heard it rite. I baked a beautiful brioche bread as Santa claus. 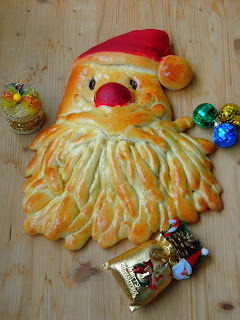 I have bookmarked this bread long back and this bread was in my to do list for more than three years, finally i baked this bread for this year's Xmas. Since i want this shaped bread more rich and delicious, i couldnt stop myself baking with a super rich bread dough aka brioche dough. 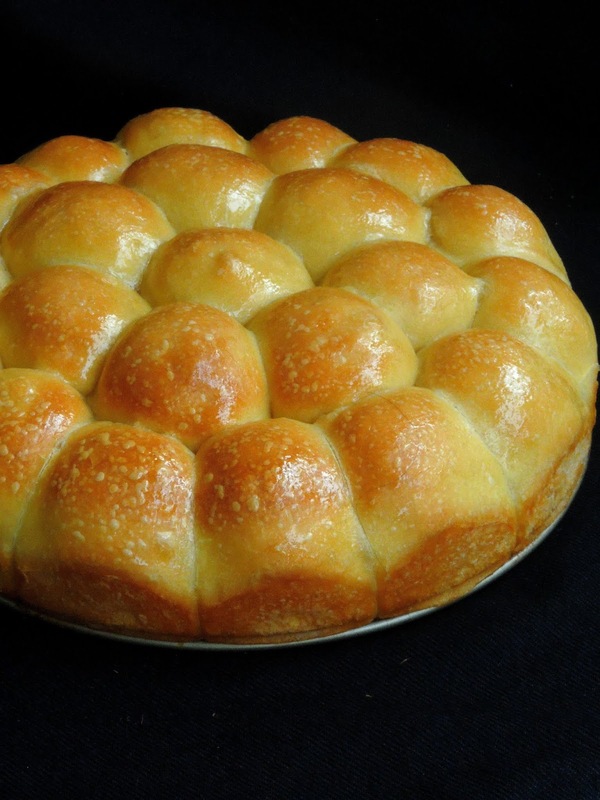 Brioche dough calls for eggs, butter and milk along with usual ingredients. 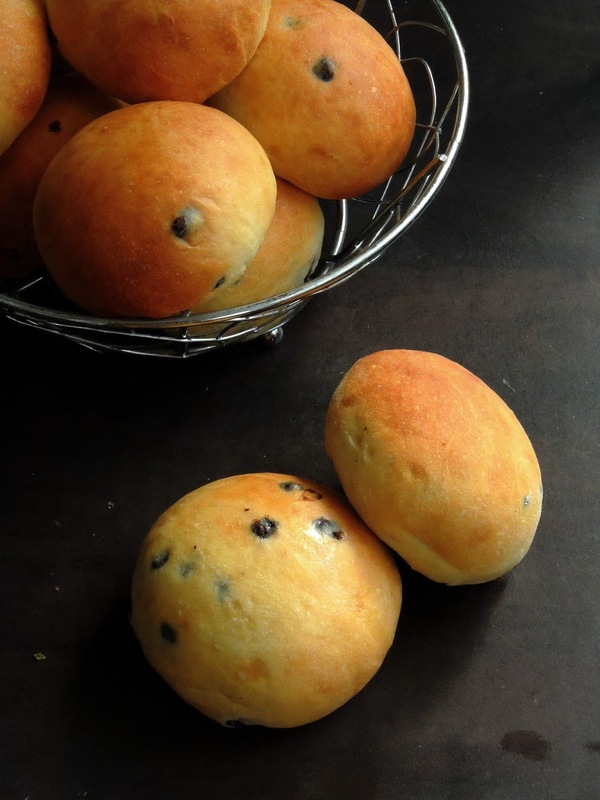 The addition of eggs and butter makes this dough more rich than the usual bread dough. 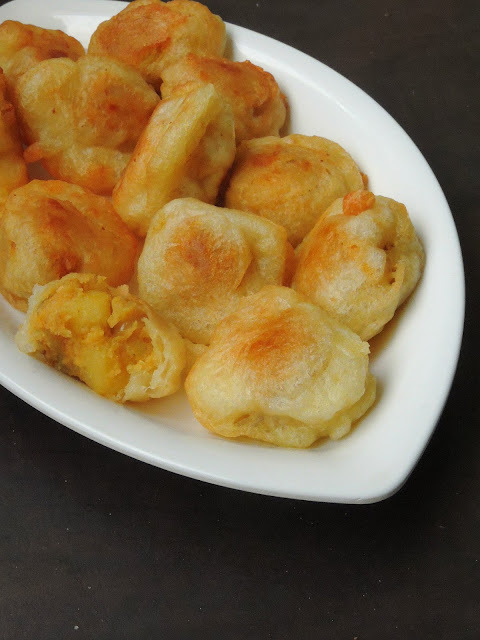 Looking for a different deep fried snacks for your evening snacks, dont forget to check my today's post.I have crossed this delicious, yeasted dumplings while googling for an easy breezy deep fried snacks. And the stuffing caught my attention as it calls for our famous Bengal gram aka Channadal. And the best part of this dish is the stuffing, its completely spiced with our Indian spice powders. Obviously, why should i think twice to give a try to this popular and well known Mauritian street food. 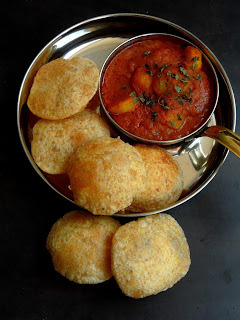 I gathered all the ingredients to make this channa puri which is completely different from our Indian snacks. As i told earlier, Channa puri is prepared with a spiced channa dal stuffing and a yeasted batter. Though this recipe may sounds bit long to prepare, trust me this dumplings are dangerously delicious to munch. Have you ever enjoyed having subway sandwich bread with your favourite filling, do you know those spongy sandwich bread can be made easily at home with simple ingredients. I would have went twice to Subway that too long back, yet i still remember their sandwich bread which are oblong in shape with spongy crust. While i was googling for a simple loaf bread recipe i crossed this site. Obviously i have bookmarked it and baked those soft crusty loaves for this year's Bake-a-thon. A baking event i will running during this whole month of december only on Mondays, wednesdays and fridays. 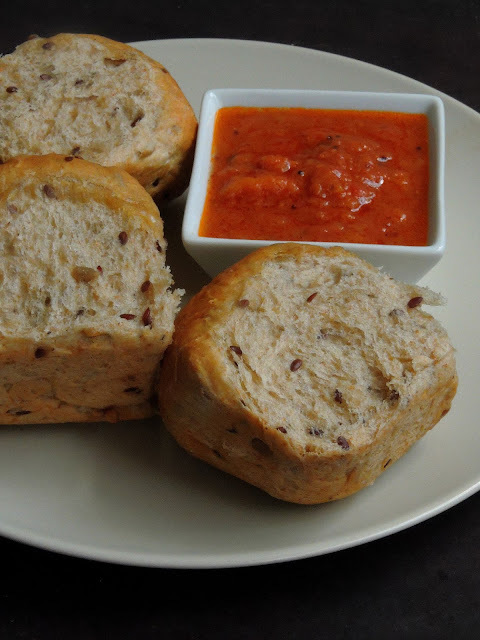 Coming to this subway bread, this recipe calls for basic ingredients which we usually go for baking bread at home. And trust me its one of the easiest bread i have baked till now. WHAT IS ORGANO GOLD COFFEE? If you’re not already familiar with Organo Gold, allow this article to provide you with a brief overview of the company that is, by all accounts, changing the perception of coffee and tea, especially amongst those who enjoy these beverages as an early morning pick-me-up. Founded in 2008, Organo Gold has made it their mission to bring to market a brand of gourmet coffee and teas that are not only delicious but also chocked full health benefits as well. 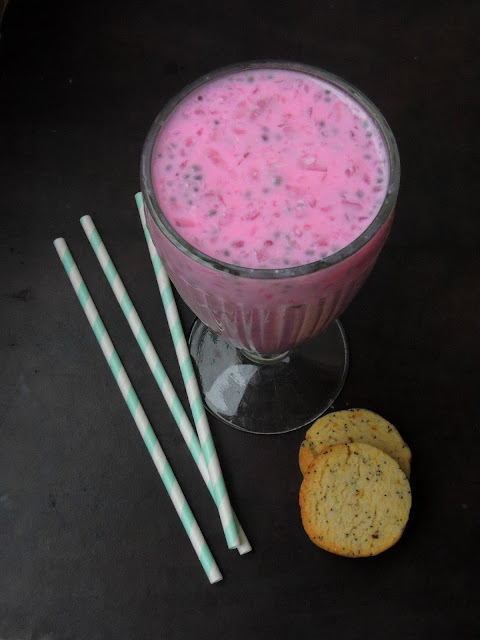 The company’s line of beverages is marketed to the health-conscious consumer who, regardless of age, has made a conscious decision to improve their life. To help put this all into context, let’s take a look at Organo’s background. The company was founded by Bernardo Chua, an enterprising businessman who found a way to marry an amazing product with a direct to consumer business model that delivered real value to consumers. Additionally, Ganoderma Lucidum has shown an above average efficacy rate when it comes to helping those with insomnia, high blood pressure, and anxiety. Lastly, the very same herbal mushroom has been shown to be a tremendous benefit for those who have suffered a stroke, hepatitis, asthma, and bronchitis. For most people, drinking coffee is in no way a life-changing event, but that is not the case when it comes to Organo Gold products. In fact, many people have referred to the product as "the perfect start of the day." An estimated 64% of Americans admit to drinking at least one cup of coffee per day and consider it to be an essential morning ritual. Cognizant of this statistical data, Organo is committed to delivering a product that exceeds their customer's expectations by offering more than a mere jolt of caffeine. A study conducted by the University of Southern California lends credence to Organo’s assertion that coffee can be more than just a delicious caffeinated beverage. The study conducted by the university concluded that those who drink a minimum of two cups of coffee each day reduced their chance of death by 18% when compared to those who do not drink coffee at all. Organo has taken it upon themselves to capitalize on this study, and others like them, by creating campaigns that tout their products ingredients as being superior to competitors. Additionally, the company has made it a point to market their products directly to consumers, which reduces overhead and allows for fair pricing. Currently, Organo has operations in more than 39 countries and is distributing their products through a network of independent distributors. Needless to say, the company routinely looks for ways to not only expand their operations but also to streamline them; in fact, they recently made their coffee and tea products available through a coffee connoisseur club, a customer-centric convenience program that enables independent distributors to sell directly to consumers by offering access to Organo’s full product line via online ordering. If you are making often just some crunchy coleslaw or else some easy breezy salads with purple cabbage, you should definitely have to take a look to this crispy fritters aka TamilNadu style masala vadais. Masala vadas are quite a streetfood which can be found easily in every corner tea shops all over Tamilnadu. 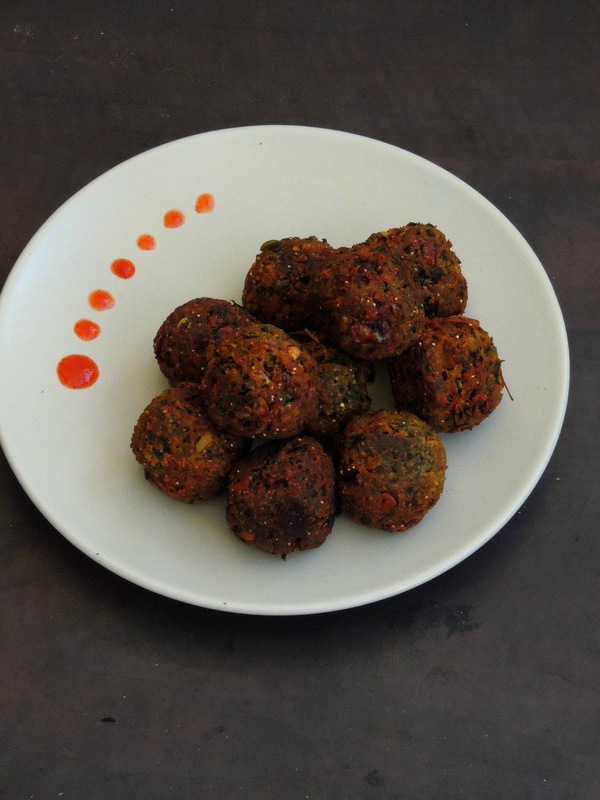 Masal vadas is usually prepared with channadal along with few spices, however many sort of variations do exists. 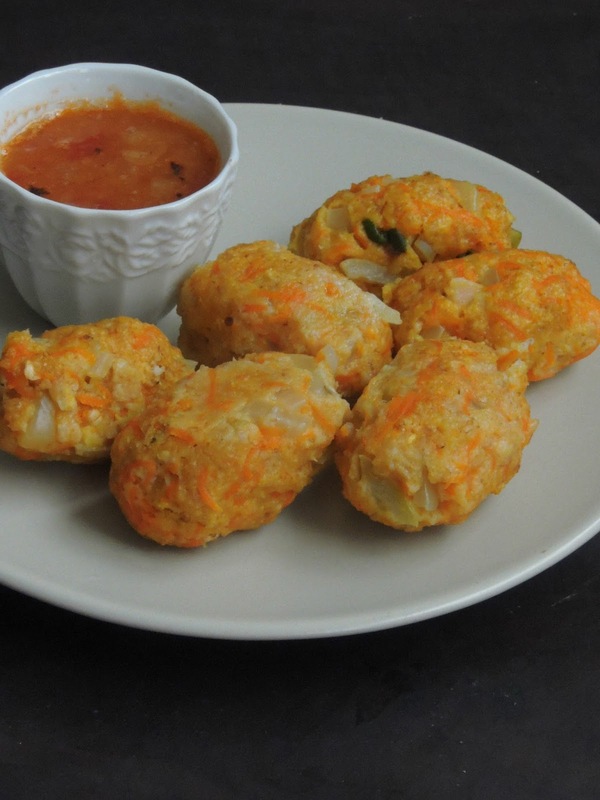 One can add some grated vegetables or greens to make vadas more delicious and healthy to feed kids easily with vegetables or greens. And my today's post is one among those vegetable loaded fritters aka purple cabbage masala vadas. Cabbage is one of my favourite vegetable but at home its quite a struggle to feed my kids with this leafy vegetable. Honestly am trying to keep myself away from deep-frying, but the weather in Paris is getting much worst nowadays. Obviously our tastebuds were craving for something deep fried and crispy to munch with a cup of coffee or tea. And this week's blogging marathon theme is 'Deep fried Love', hence this week's posts are going to be three different deep fried beauties. Needless to say how everyone at home enjoyed this theme. Yes after more than a month my family members had a chance to indulge some deep fried dishes as evening snacks. Am kick starting this week's theme with an ultimate homemade Boston cream donuts. 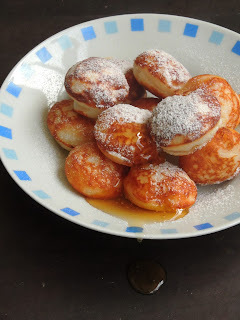 Donuts are yeasted dough which is fried and enjoyed when tossed with cinnamon sugar. 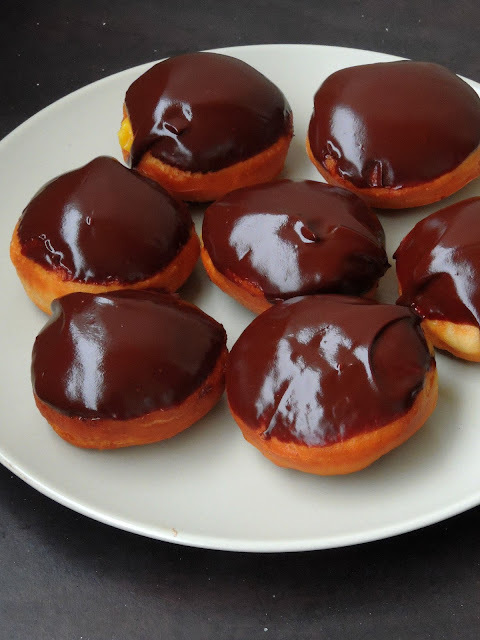 Coming to this Boston cream donuts, its a round, yeasted donuts with chocolate frosting and a pudding filling which is a miniature donut version of Boston cream pie. Spelt flour is my recent favourite, i accidently picked a packet of spelt flour instead of gluten free flour. But trust me, though i did a mistake, i seriously enjoy baking out some incredible bakes with this very ancient grains. Spelt is known as hulled wheat which is a species of wheat cultivated since a long. Spelt flour breads are important staple in few parts of Europe since bronze age. As much as like Wheat, barley and rye, Spelt is also a gluten grain. You might have know about gluten, its a protein that gives breads and other baked goodies their texture. Obviously spelt flour replace very well whole wheat or whole grain flour in most of the breads. 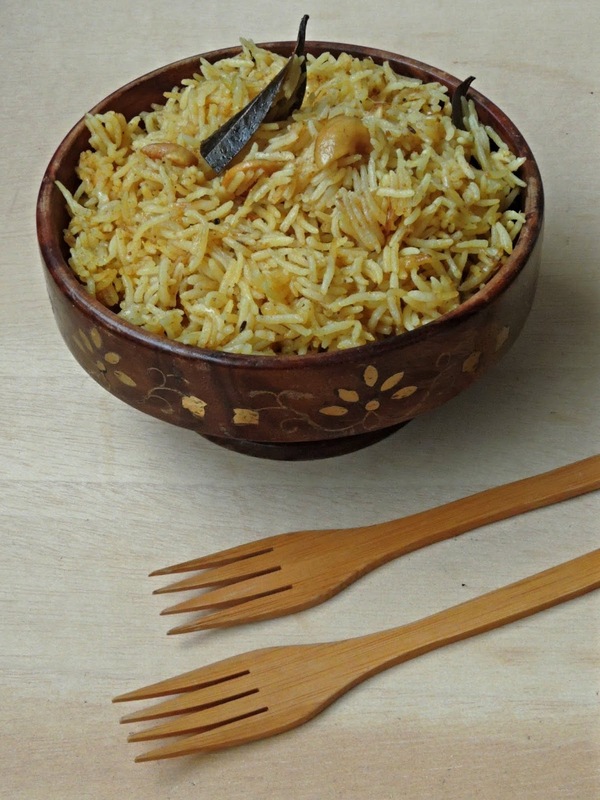 Spelt is an excellent healthy whole grain, eating spelt in your diet gives the fiber content. Fibre is essential for healthy digestive system. Hence spelt flour may be very much helpful as a part of weight loss diet. Spelt flour contains little more protein than the usual wheat. Keep in your mind, that spelt flour is not suitable for a gluten free dieting people. 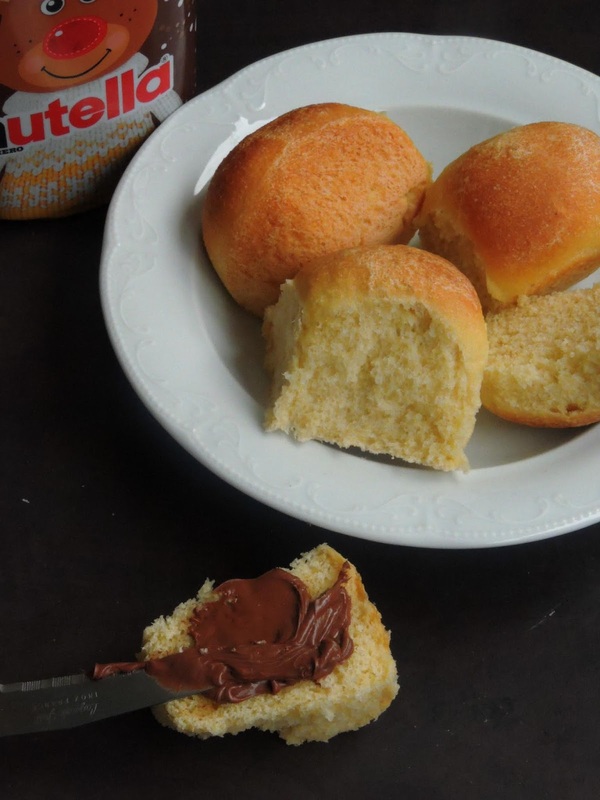 Kids were asking for something buttery and chocolatey since few days as the weather in Paris is seriously nasty. 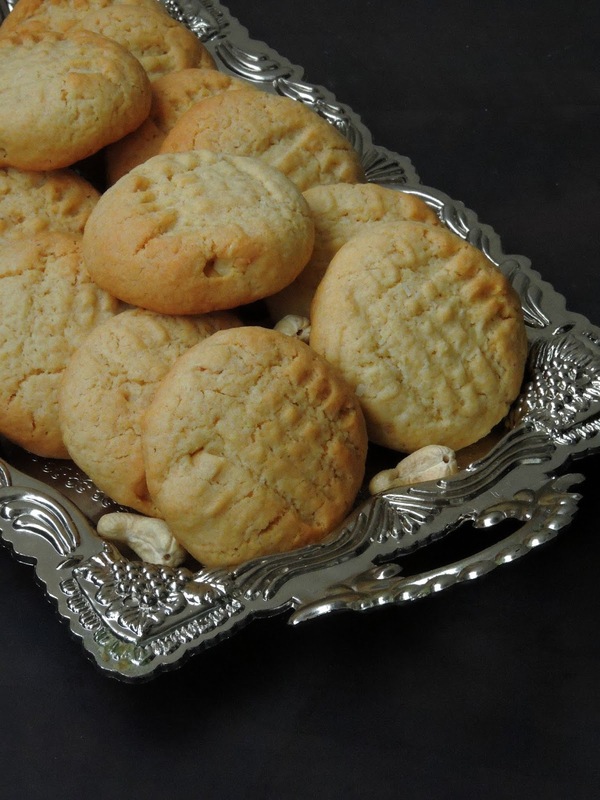 If kids requests for chocolates loaded bakes, i cant say 'no' hence i baked this ultimate buttery wheat biscuits. Why i used whole wheat flour, coz i have already baked butter biscuits with all purpose flour. Since i want to bake them much healthier than the usual butter biscuits, i opted for whole wheat flour which works awesome to bake out some scrumptious biscuits out of it. Also i baked this cookies with roughly chopped chocolate chunks instead of chocolate chips which gives an excellent texture to this ultimate cookies. Everyone at home went crazy when i finished baking this wheat butter biscuits. Dunno why, i just love coconut flavor in cakes,muffins and in breads. Whenever i feel like munching coconut flavored baked goodies, i dont think twice to bake something coconuty. Few weeks back, i couldnt stop myself baking out some dangerously delicious cookies with both coconut and cashew nuts. 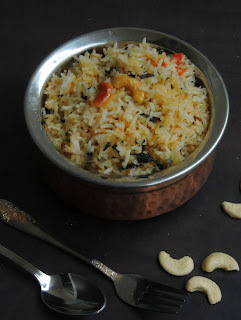 Cashew nuts is one among my favourite nuts which i never fail to cook with often. Obviously i combined both coconut and cashew nuts together for baking some cheat version of the popular Good day biscuits. I still remember how delicious those cashew nuts loaded good day biscuits will be. I can never forget the taste of this biscuits as much as like the popular bourbon biscuits. Even now, whenever i go to India, i dont forget to grab a packet of these biscuits. Few biscuits are seriously very close of our hearts na. Today am taking you all to an another dream destination of many, yes my today's post is from Mauritius. Mauritius cuisine is a real mix of French, Chinese and Indian cuisine,however this cuisine is very much influenced by our Indian cuisine. While googling about this Mauritian cuisine, i was surprised to see that their most popular dishes are always prepared with an Indian touch. 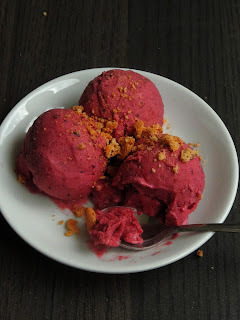 Am running this week's blogging marathon with Cook by capital as theme. Hence i picked the alphabetic letter 'P', after Paris and Prague, i couldnt stop myself to pick Port Louis, the capital of Mauritius. Port Louis, is very much known for their street foods. And i picked one of the most known and popular drink which quite common in Central Market in Port Louis. And this drink is easily available anywhere in the island. You might have noticed that am running this week's blogging marathon with Cook by Capital as theme. And i picked 'P', obviously after Paris, today's capital i have picked is Prague Prague is Czech Republic's capital and i seriously want to visit this beautiful capital atleast once in my lifetime. And i have been looking for an opportunity to visit this place though its not far from France. Since i picked Prague, i googled for some interesting dishes from this amazing country, many Czech dishes are loaded with meats. However i looked for something different, definitely a hassle free dish from this cuisine. While googling, i crossed Livance, a fabulous Czech yeasted pancakes. Livance may sounds as much as like American Pancakes but trust me these pancakes are dangerously delicious. Regional cuisines of India shares many delightful dishes with pantry friendly ingredients. 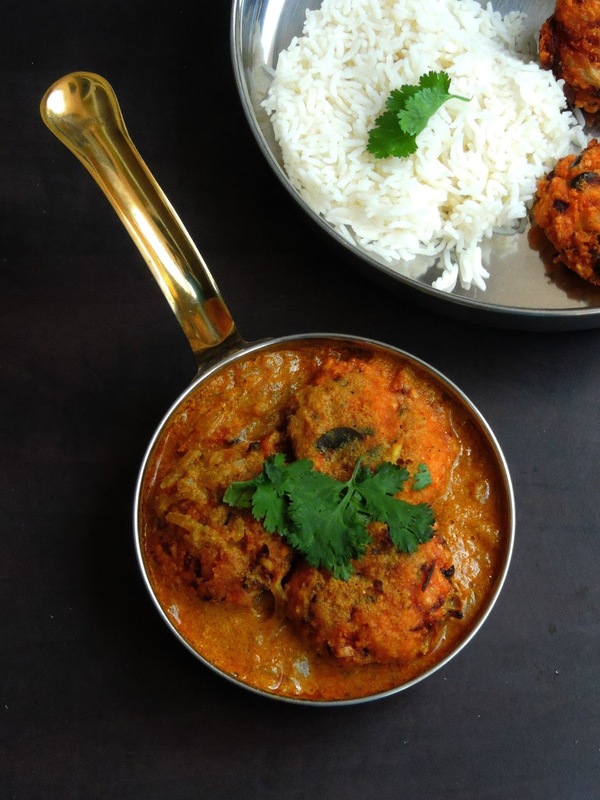 Am amazed to see our own Indian cuisine is loaded with varieties of dishes you can cook in an ease. 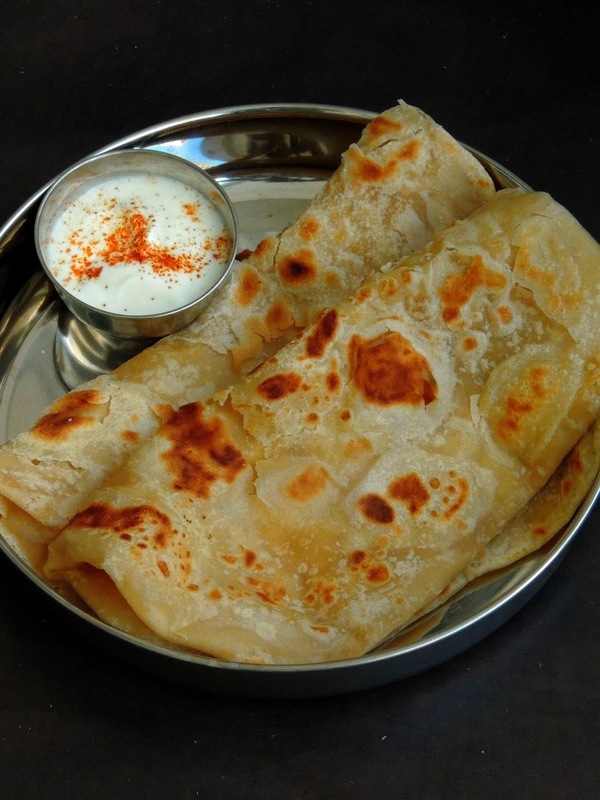 Our Regional cuisines rocks, and whenever i cross a new dish from any part of India, i dont forget to bookmark them. Obviously my bookmarked lists is overflooding since a long and i have couple of dishes to dish out very soon. You might have noticed that i dont hesitate a second to try new dishes as i love to explore other style of cuisine than sticking with my usual cooking style. Am a person who love to try and test especially if the recipe calls for simple ingredients. One of my recent trial from Odisha cuisine is this Besan Tarkari which means as gramflour dumplings cooked in spicy curry. Life is full of experiments and experiences, obviously we learn tips and tricks ourselves either by fail or by succeeding those trials. Culinary experiments are one among those. 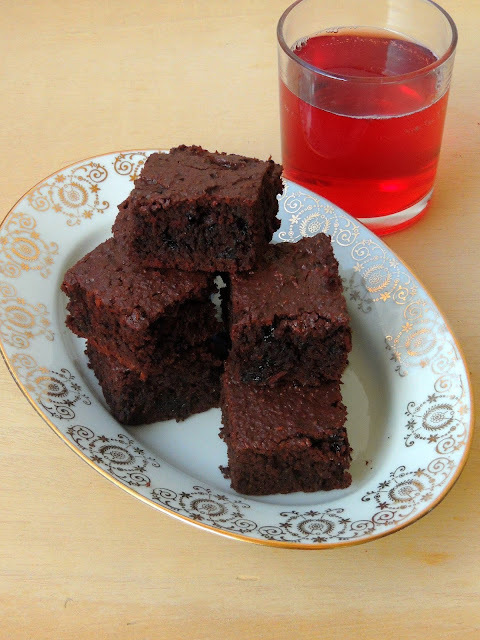 Experiments in cooking or in baking makes you to come up with some creative dishes or bakes. Trust me, few culinary experiments will definitely pull you to learn and correct your mistakes. To be honest i have been baking since few years especially once i started blogging and am a self learned baker. Never went to cooking classes or baking classes, however blogsphere teach you every nooks of baking. I love baking, i wont hesitate a second to try bakes with different ingredients. 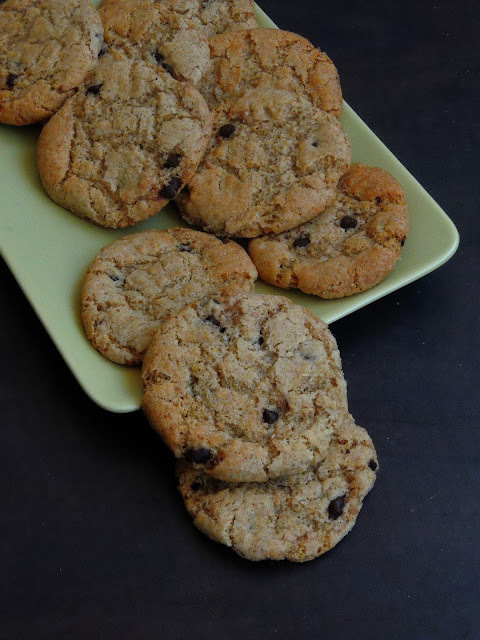 And my today's post is one among those experiments which turned as some dangerously delicious cookies. Spelt flour, this is one of my recent favourite flour which i have been using recently in most of my bakes. Spelt flour works awesome for making beautiful breads and cakes. 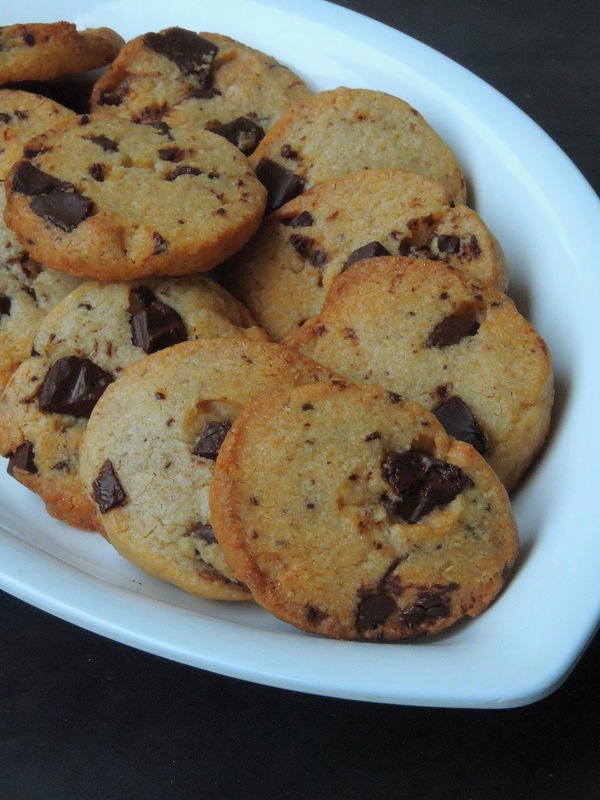 However i gathered all the ingredients to try a simple yet a delicious cookies with. French desserts/pastries are quite popular around the world and their pastries are seriously a must try if you have a chance to visit this beautiful country. I must say that am lucky enough to live in this country since 23 years. Obviously French desserts are my favourite. Now i try to replicate them at home whenever i get a chance to dish them out by myself. Though some of the French pastries are seriously hard to learn and cook at home, few pastries are quite easy to prepare. I have been dishing out some of the easiest French pastries since a long, and thank god till now everyone at home approved that my French Pastries are best and tastes very much like the store bought ones. Whatelse we need, however i learned baking myself and am proud to say that all my French pastries never went wrong. I have been baking with fine semolina since few weeks as am able to make some incredible breads with them. Working with semolina is not a tough job as they tends to work as much as like bread or all purpose flour. Fine quality semolina are just prefect to bake many tremendous breads out of them. Moroccan, Tunisian and Algerian uses Semolina as the main ingredients in most of their flatbreads or leavened breads. 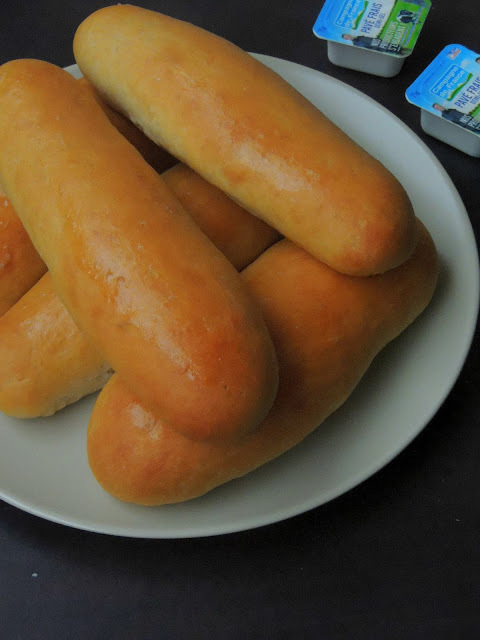 Since my family members like the texture and the flavor of semolina breads or bread rolls, i couldnt stop myself to make some simple bread rolls at home just to please some hungry tummies either for breakfast or for evening snacks after a hectic day at school. These bread rolls came out extremely spongy and ultimately delicious eventhough this bread rolls are completely eggfree. Kiwi, these fruits are loaded with many vitamins and right now here its peak season of this ultimate fruits. Obviously how can i forget to get them whenever we go to farmer's market. Recently i got a huge bag of farm fresh kiwis from my next door friend who carried all the from South France as her uncle is a farmer who owns some kiwi plants. Seriously, i was overwhelmed by her nice gesture and i want to make something delicious with those kiwis. After making some smoothies and fruit salad, i baked a fabulous upside down cake with the leftover kiwis. 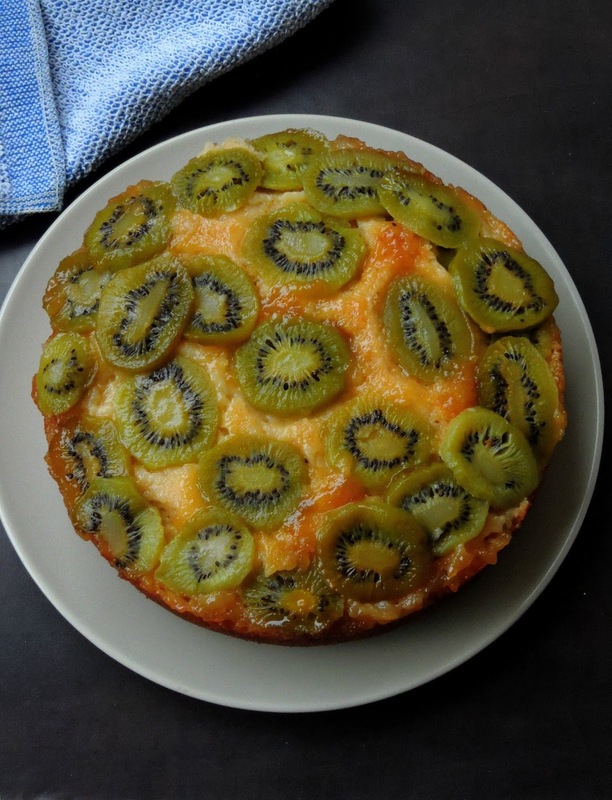 As much as like apples, i cant take kiwis raw, and unfortunately kiwi is one of my favourite fruits, hence i baked this cake to enjoy the goodness of this incredible fruits. Nothing can beat the aroma of freshly baked breads at home and obviously homemade breads are the best without any preservatives. Home made breads are very much tastier than the store bought one and they are damn cheaper and doesnt take much time to prepare at home. If you ask me to bake a bread everyday, i dont hesitate a second at all. Coz bread making are definitely a stress burster, if you want to get rid of your stress just bake a bread at home.Homemade breads are more nutritious when compared to store bought ones,needless to say that we can mix and match the ingredients according to our wish. And you might have noticed that am running a month of baking marathon which is known as Bake-a-thon, obviously i will be posting on Mondays, Wednesdays and Fridays during this whole month of december. Stay tuned to have a look on my baked goodies for this years's Bake-a-thon. Pound cake are everyone's favourite at home coz these cakes are prepared usually with equal weights of 4 main ingredients. 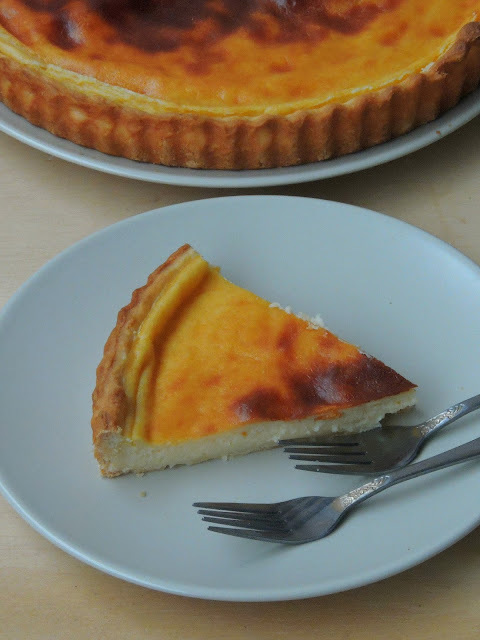 Flour, eggs, butter and sugar are the most needed ingredients to bake this incredible cake. 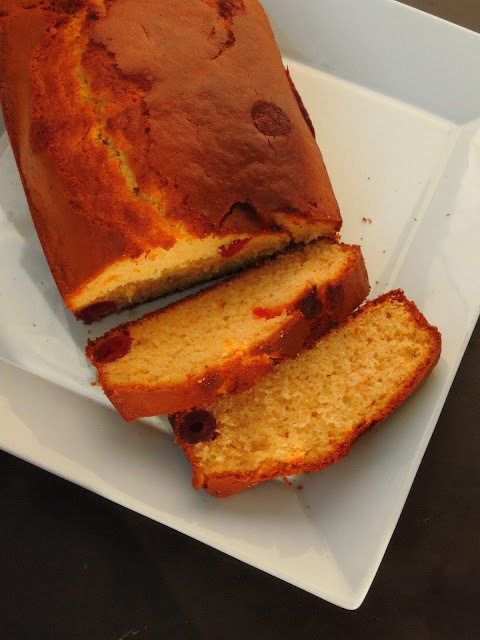 Flavored or prepared with fruits, dry fruits this buttery pound cake tastes extremely delicious to please your tastebuds. Pound cakes are best to enjoy for snacks or for desserts after a meal depending upon how they are served. For a dessert, top a slice of pound cake with some scoops of icecreams or else with whipped cream and chopped fruits like strawberries, figs or raspberries etc. Though i have already baked varieties of pound cakes, its been a while i seriously want to bake a pound cake with glaced cherries as my H was asking for this cake. He just love fruits loaded pound cake, obviously i couldnt stop myself to bake this cake just to please him. Breads or buns, these baked goodies are must for us to kick start our day. Since ever i started working, i couldnt make our usual south Indian style breakfast on week days coz of my super duper busy schedule. Obviously i cant think more than baking breads during weekends for our weekly breakfast or else we stick with store bought breads. Most of our breakfast goes for bread toast with butter and jam along with a cup of tea or black coffee. You might have guessed now why i have been baking quite often at home. Neeldess to say that i just love baking breads at home as they calls mostly for basic ingredients with no preservatives. 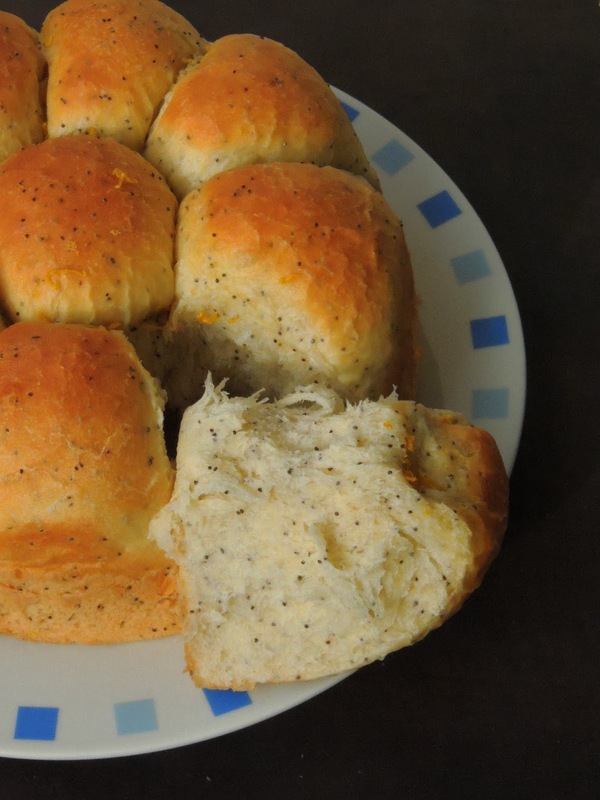 Homemade breads are always the best though their shell life is very lesser than compared to the store bought breads. Coming to today's chocolate buns, i baked these buns few months back for our weekend brunch and its was sitting in my draft since a long. Once fall season starts here in Paris, farmer's markets will gets loaded definitely with varieties of apples, pears, clementines, kiwis etc. Apples are the prominent Fall fruits here, obviously we make use of it in many bakes especially in cakes. Am running this week's blogging marathon with Make them as cakes as theme, hence this week's posts are going to be some kid's friendly cakes. I love to bake cakes than grinding idly batter, yes dunno why. My mom used to pull me coz of this, i hate grinding idli or dosa batter than preparing cake batter. If any occasions presents, i look for an opportunity to bake a cake to please my cake loving kids at home. Though my space have varieties of cakes, some are yet to bake and post in my space.